Just before Christmas, I rather fancied swaddling myself in some festive colours. I really don't suit a harsh red so this 'very cherry' shade by Sublime is perfect! 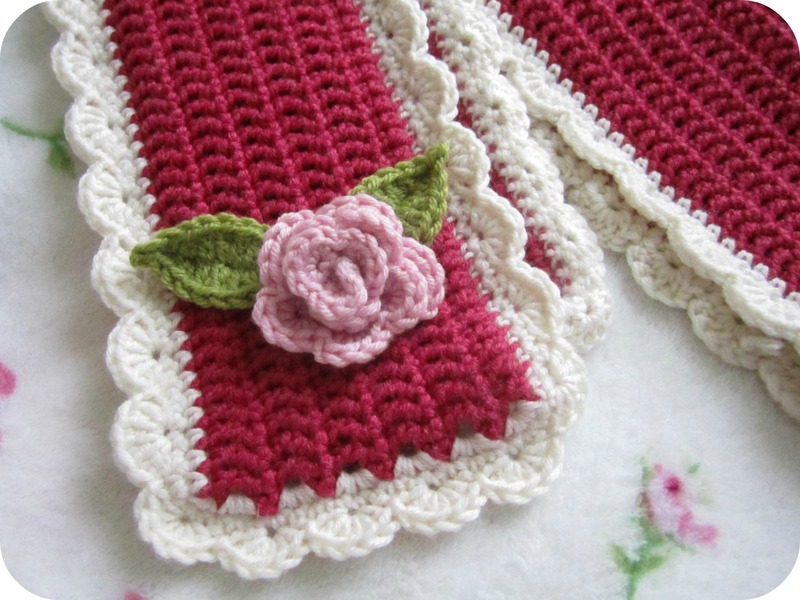 The scarf is simply alternate rows of trebles and doubles to give a ribbed effect, with a cream scalloped edge. By the time I'd finished it of course, Christmas was over and done. I don't know about you but my thoughts are most definitely leaning towards Spring now. I hope the addition of the Attic 24 May Rose has made it a little more blossom and birdsong than Hohoho! It looks lush with my new coat, even if I do say so myself! One of my many New Year's Resolutions is to keep my crochet and yarn more tidy. I admit, I am a messy creature and tend to leave little piles of yarny detritus in every room. It's not such fun when I'm desperately looking for my 5mm hook or tapestry needle. I stumbled upon a much-longed-for handled basket whilst shopping in Mevagissey. Just the job for my current works in progress! It was made for me by one of my lovely new Instagram friends, Rachael. 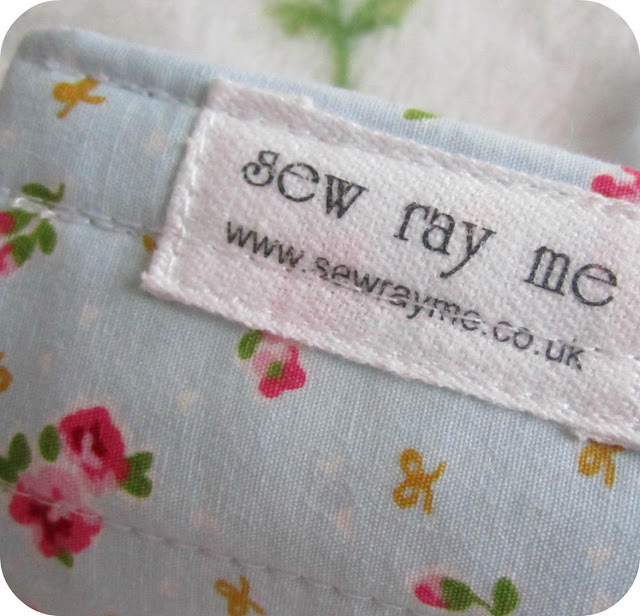 Rachael sews so beautifully and has a Folksy shop here. 1. Westie Brooch from Alex McQuade 2. 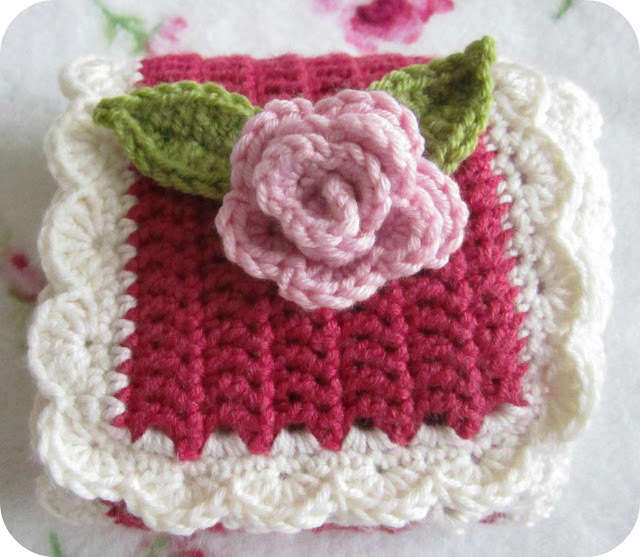 Flower Brooch from Buttercup Boutique 3. Christmas Tree from Raven's Stained Glass 4. Birdie Brooch from Buttercup Boutique. The scarf is very pretty,I love it. I like the hook roll,I am going to check out her shop. LOVE your scarf! I'm not a big fan of red either.That color is perfect! Ooh thank you for the mention! The pics are great - can you do all my photography for me please?? funny you should say that - I have a christmas scarf sitting on the chair beside me as I type! Might have to copy and credit! 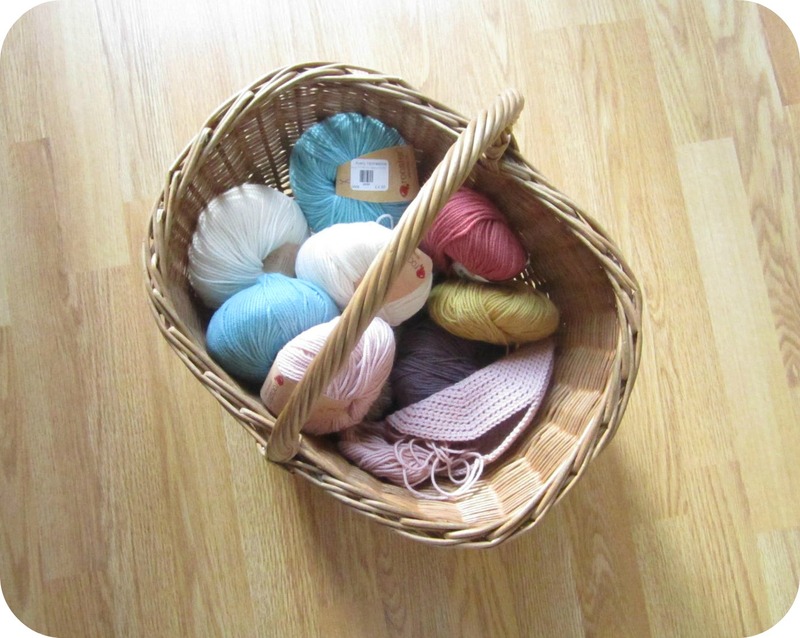 I also had to sort out my pile of wool (thus the cupboard on IG!) as it was literally getting beyond a joke...bigger than the chair I was sitting on! 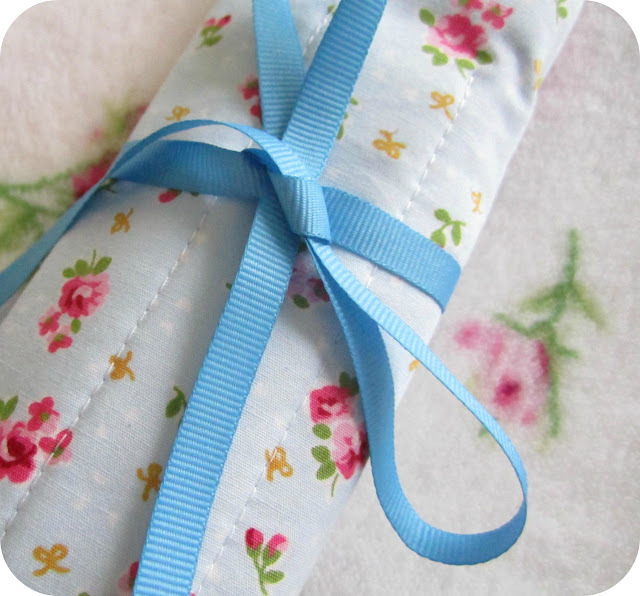 Very lovely scarf- I think that little flower detail finishes it off perfickly. 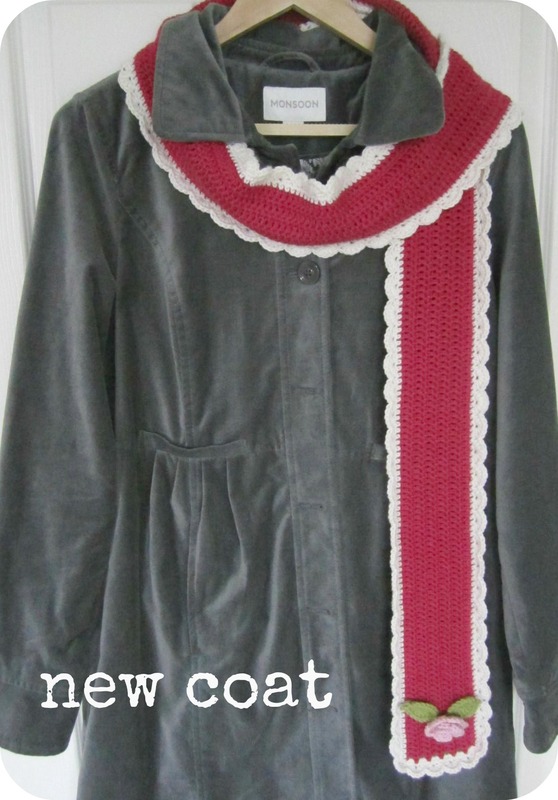 And it looks great with your new coat, too! Lovely scarf, so cheery, just what you need on a grey day! Beautiful scarf, and the sweet little crochet flower is the perfect finishing touch. 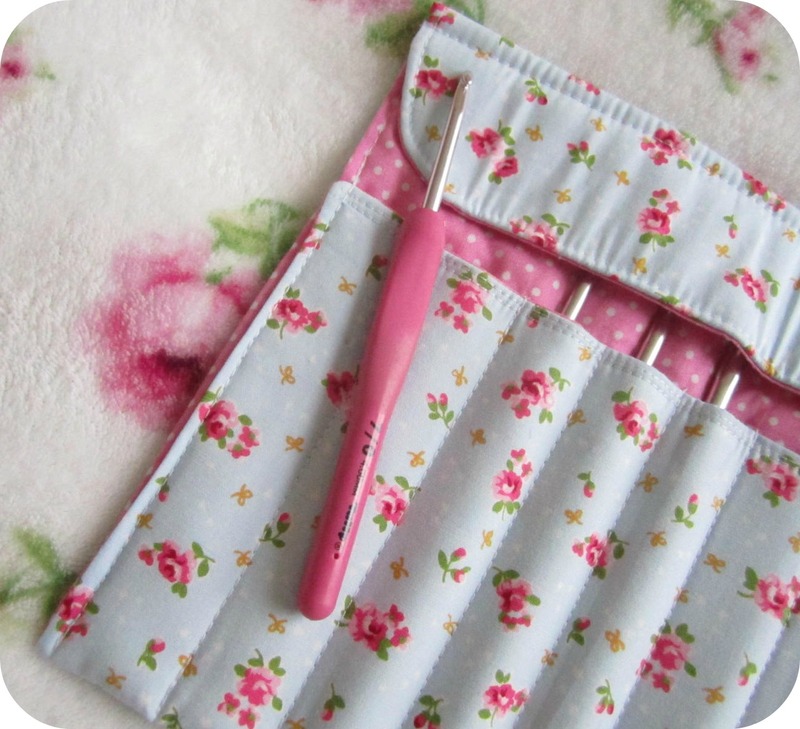 Loving that sweet little crochet hook roll too - like mandicraft, mine sit rather prosaically in an old jam jar alongside pencils and pens. But atleast I know where they are which is something! 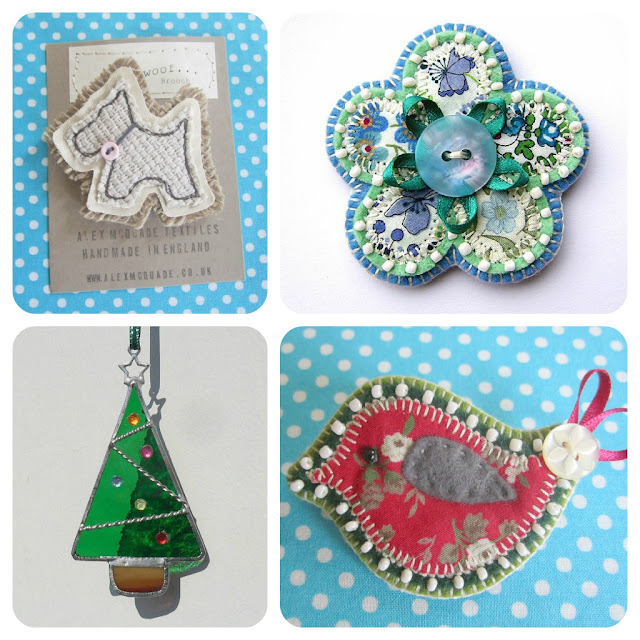 Lovely stuff from other crafty people too - thanks for sharing Heather. The scarf is so pretty, Heather! 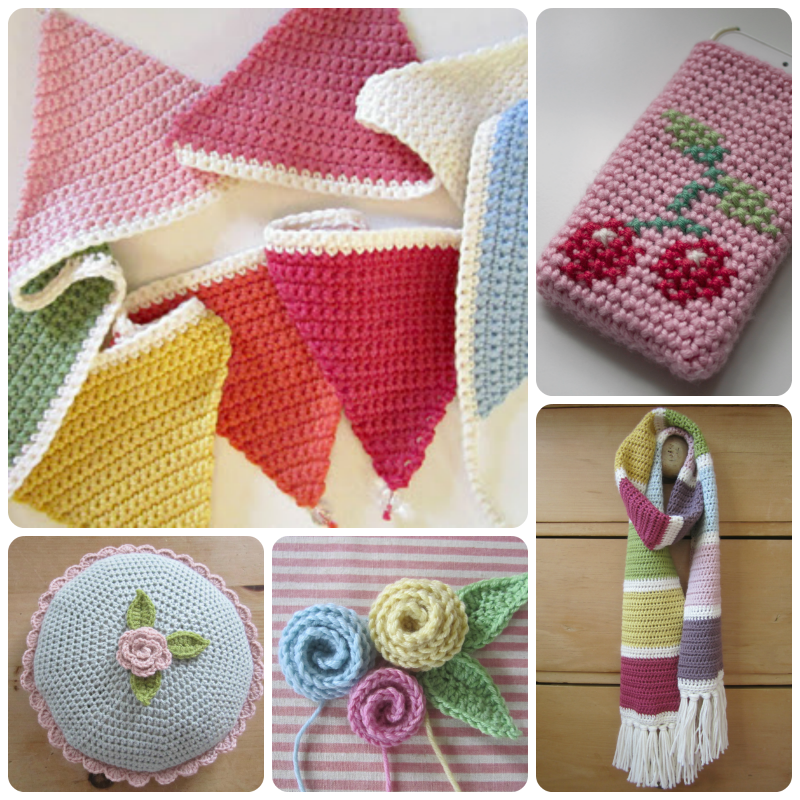 And I loved seeing those pretty handmades too, so many lovely things! Have a happy week and keep cosy!